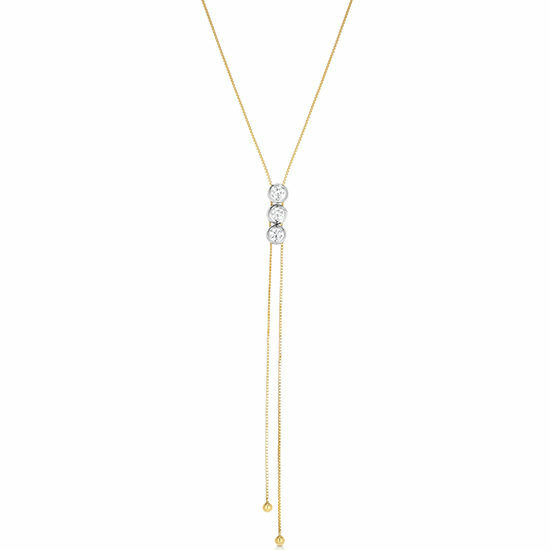 Glamorous and unique, this bolo necklace features three bezel set diamonds as the adjustable clasp in the center. This versatile style allows you to wear the necklace as a flattering Y-silhouette or as a choker-style and is perfect to wear for any occasion, day to night. This 14k yellow and white gold necklace features a total of 0.70 carats.